Over the past six weeks, I have been dealing with a lot of issues from the emergency c-section I had, not to mention the ridiculous amount of hormones that are trying to get back to normal in my body after having the twins. The two month postpartum update for myself and for the twins will be up in a few weeks, but I thought I would take the time to talk about something we diagnosed at my six-week check-up, and that is living with postpartum. It is something I think a number of women deal with after having a baby but unfortunately, much like postpartum depression, it is something that isn’t talked about openly. To me, dealing with this issues these few weeks has absolutely been pretty “hush hush” and almost somewhat embarrassing. I am the type of person that doesn’t really share too much about what is going on with me in person. Thankfully, I have found this blog and writing to be somewhat therapeutic and helpful in sharing the things that are going on, good and bad. It’s amazing the amount of support that I have received and that I have been able to bring to other women going through similar things. Anyways… on to the details. Never in my life did I deal with issues of really intense anxiety. Nervousness and worry, yes. But never anxiety, especially not in this capacity. I started feeling the effects of this a few weeks before I gave birth. I was worried that I would not get to have the natural birth that I so intensely wanted. More so, I was petrified that I might have to have a c-section. This is where my whole battle began I think. You can read more here about my anxiety during pregnancy. After the twins were born, I had my mom in town and then more family came. While they were here, I was still dealing with the symptoms of everything, but to a much lesser degree. We were constantly busy and there was always someone around for a hug or for a chat, so my mind wasn’t wandering. There wasn’t many gaps where I was by myself and felt the overwhelming loneliness combined with all of the new-found craziness of having four children under four years old. After they left, I was really on my own for the first time with the kids with my husband back at work. This was about two weeks before my six-week appointment. The extensive list of symptoms I had going on, thanks to the anxiety, hormones, and my thyroid, was really tough to try to deal with. Thanks to WebMD, I terrified myself even more into thinking I was going to die any second (Check out yesterday’s post on the reality of WebMD). 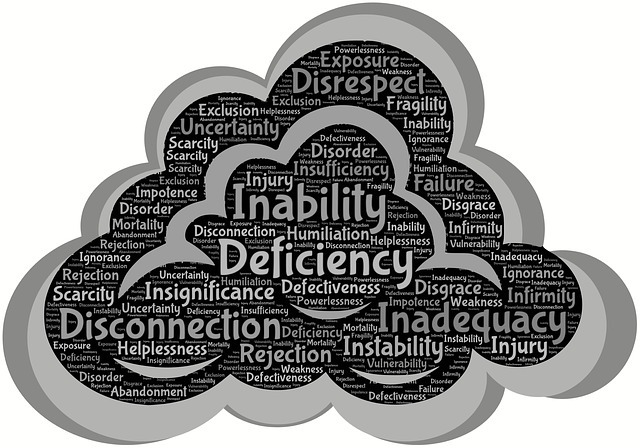 Hand tremors, loss of sensation, lightheartedness, vision issues, fast heart beat, dizziness, constant anxiety, breathlessness, heaviness in chest… all of these were things that I was and have been experiencing on a daily basis. Aside from trying to diagnose myself, I knew that I was having panic attacks and dealing with a tremendous amount of anxiety. My doctor let me know that all of the above was true when I went in for my appointment. He also said I really need to get more sleep, which is 150% true, but nearly impossible. Apart from medication, there isn’t much you can do about anxiety except talk to a counselor. As some of you know, I am about to have my Master’s degree in professional therapy. I have heard that counseling a counselor (or in my case, a psychology student) is the hardest thing to do… I can understand why. I left that appointment with the realization that postpartum issues are something that cannot be taken lightly. I recovered completely in days after my older girls were born. The hormones stuck around, but they didn’t cause anything like this. These attacks that I have had were coming 3-4 times a day. I was in instant tears, afraid that I was going to die. Even when the attacks themselves weren’t there, I could never catch my breath or think with a clear mind. I was scared I wouldn’t be around for my kids anymore. I couldn’t go to sleep at night because I was terrified that I was not going to wake up. It seriously felt like I was losing my mind. It was debilitating. Feeling like you are so out of control of what is happening with you physically as well as mentally is probably the worst feeling in the world. I have never struggled with anything like this before in my life, not to this extent at least. I just want to be able to enjoy my kids again, to stop living in fear everyday of what’s going to happen with me or what’s to come. It has completely changed the way that I live my everyday life. Trying to get back into a somewhat routine, trying to take care of two newborns and two toddlers, trying to become myself again when that woman seems so lost… all of these things are what I am fighting through this anxiety and panic to do. Ultimately, I just need to let someone much more powerful than myself take all of the worry and the anxiety. I am not sharing this to feel sorry for myself or what I am going through. I share this because it helps to bring me a little bit of peace and sanity, and also to give a virtual hug to those struggling with similar issues. If you have gone through or are going through anything like this after having a baby or during pregnancy, you aren’t crazy and you are not alone. Remember, you never really know what someone else is going through just at first glance. You’re not alone. I’m still very anxious and my little guy is 6 months old. Hang in there mama! I am so sorry you are dealing with this! I used to have horrible anxiety in college and I didn’t know why. I didnt feel worried or nervous, but I would get such bad panic attacks that once I had to be seen by paramedics! (at a concert, and the paramedics were convinced I must have been on drugs… which made it worse since I felt like they thought I was lying and crazy) When I would feel the anxiety coming on, I would try taking deep breaths and talking myself out of it.. or try to ignore that it was happening… but nothing helped. They just kind of went away one day and while I don’t get them regularly anymore, it still happens occasionally. I can only imagine that pregnancy hormones are making these attacks even worse… I just hope they pass soon for you! (I cant imagine how hard it is dealing with 3-4 attack a day while trying to take care of your babies!) I will be praying for you and that you start feeling like yourself soon! I can only imagine how stressful this must be for you. It’s true that this isn’t talked about enough, and I thank you for sharing it. Not only is it therapeutic for you, but you could possibly help normalize this for someone else who is going through something similar. I hope that it does! You are definitely not alone. I had to have an emergency c-section too and when through the exact same thing. What helped me was lots of prayer, scripture study, getting ready and not just hanging around in my pjs, and getting out of the house. Hang in there. Things will get s better. I promise. You are so brave and honest to write this post. As I was reading this, I kept thinking, why is this something that isn’t spoken of more? I think your post will help other mom’s going through this feel comforted knowing they aren’t alone, and maybe they can see symptoms of how they are feeling and know that it isn’t just sleep deprivation that is causing the problem. Thank you:) I don’t think bravery had much to do with it… but I do not have a problem sharing my honest thoughts, hehe. I think that is why it was so helpful for me to put my real feelings and thoughts down in writing. What book do you read? Let me know if you try the GABA. Is it more of a natural way to help anxiety? I don’t even have postpartum and I get anxiety and can’t sleep at night sometimes. I can image what your going through. I hope you start to feel better soon. Always reach out to people if it gets to hard to handle. Thank you. I am really trying to lean on others more for support these days. The mind is a beautiful and terrifying part of our bodies. 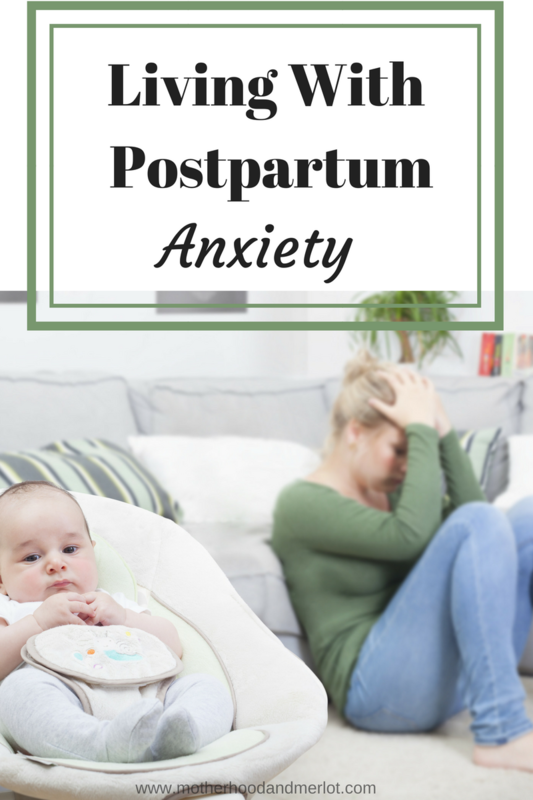 While I’ve never experienced paralyzing anxiety, I did sink into a bout of postpartum depression. Having a solid support system and, like you said, keeping our minds busy helped keep the depression at bay, but it is an experience I don’t wish for anyone. Big hugs, mama. Your story is so inspiring and we’re all in your corner.